The challenge lay in the integration of building-wide AV infrastructure without compromise. The centre brings together teaching and learning facilities, work spaces for entrepreneurs, and an early-stage incubator for start-up businesses. 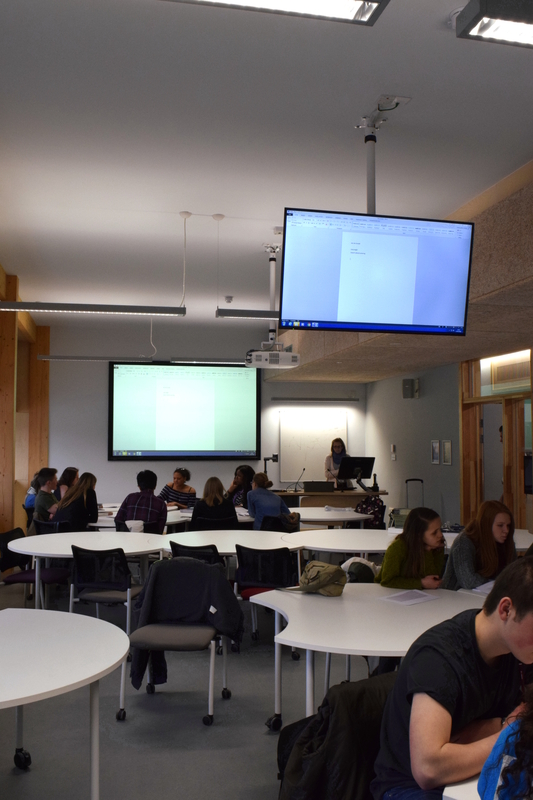 Challenge: While the best-practice benchmark for ‘embodied energy’ of university buildings is 845 kilos of CO2 per square metre (kgCO2e/m²), the goal was set to 168 kgCO2e/m² for the Enterprise Centre . Providing for catering and IT equipment, the power consumption specifications in the client brief made the project appear technically impossible. 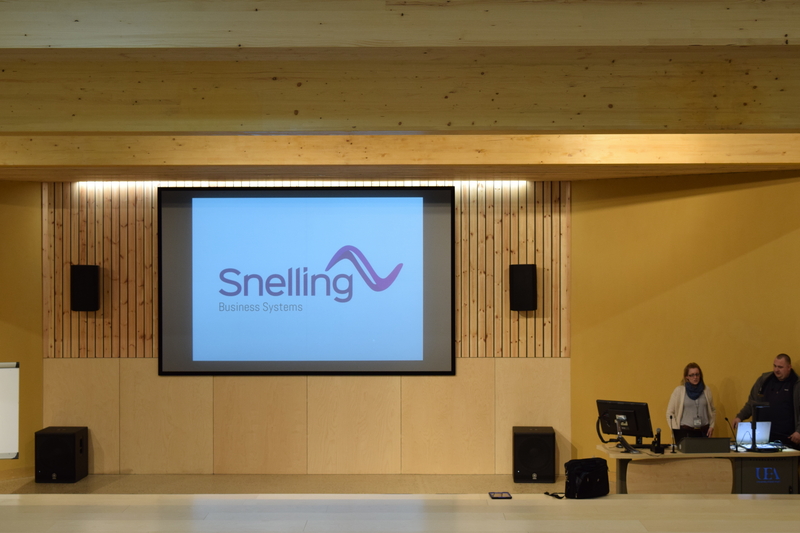 How can AV hardware built into a system contribute to the highly ambitious low carbon goals of the building? Hardware lifecycle: worked with manufacturers to qualify hardware with the lowest power ratings, ISO ratings and which are fully recyclable. 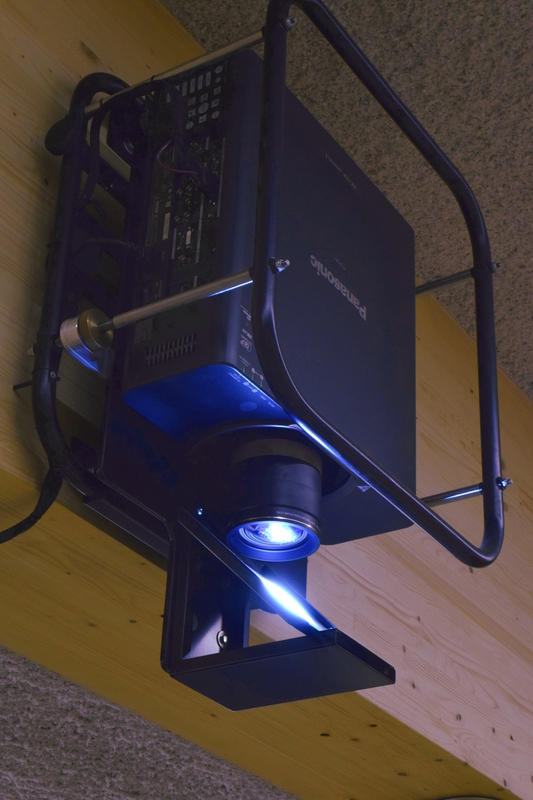 For example, laser projectors over lamp, which can be fully recycled. Optical projection screens offer seven times the contrast and twice as bright as standard screens. Systemsthinking: we designed and built a bespoke system for active power management. The entire building operates on three states– Full Power, Typical Power and Full SwitchOff mode depending on prolonged non-usage. Furthermore, IP power distribution for each room provides two states– Standby and Full SwitchOff for users dependent on use and period (for e.g. holidays, off-peak hours and open days). AV hardware units were sourced strictly on the basis of which can be returned and fully recycled at the end of product life. Highest possible ISO standards had to be maintained for all hardware sourced. Maximum possible sourcing hardware locally to cut footprint involved with transportation. All our designs and schematics were approved for Passivhaus standards and achieved BREEAM ’Outstanding’ rating (highest possible rating). Download The Enterprise Centre Casebook.